According to the 2015 Information Security Breaches Survey conducted by PWC for the UK Government, 28% of the worst security breaches were caused partly by senior management giving insufficient priority on security, and 21% of organisations had not briefed their Board on security risks in a year. Yet the number of organisational security breaches was continually increasing, and their scale and cost had doubled. Who owns security risk at Board level? 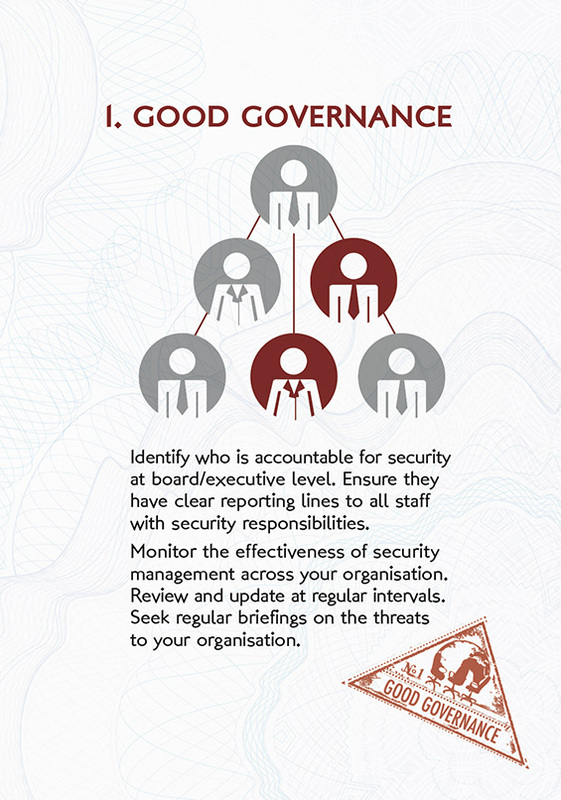 Is security a standing item on the Board’s agenda? Are there clear reporting lines for security responsibilities, for example cascaded down from senior executives and properly connected up at all levels? Establish whether responsibilities for physical, personnel and cyber security are allocated separately, and if so whether there are clear and regular links between the individuals concerned. Are there regular reviews of security policies and procedures and who is responsible for these? What about overarching review of the security function – is this conducted and how often, and how are the findings taken forward? Are there communication links in place from security managers up to senior executive level? If so, are they effective? If not, how might they be developed?